President Goodluck Jonathan on Monday summoned the Minister of Interior, Abba Moro, as well as the Comptroller General of the Nigerian Immigration Service, David Parradang. 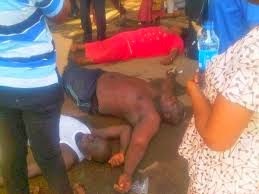 The emergency summon comes two days after at least 18 people died nationwide at different venues of a recruitment test conducted by the immigration service on Saturday. 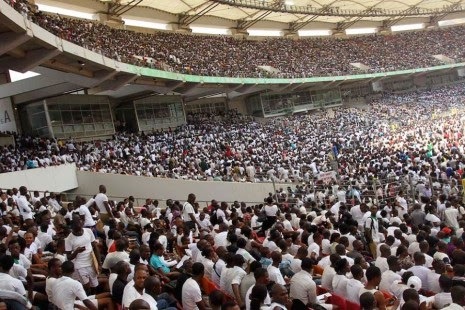 The poorly organised test for tens of thousands of job seekers across Nigeria led to a stampede and sporadic shooting by security operatives at different venues; leading to the deaths. The immigration service is supervised by the interior ministry with many Nigerians calling for the sack of both men. Mr. Moro, who was at the Presidential Villa alongside Mr. Parradang, spent over one hour in the office of the Chief of Staff to the President, Oladehinde Arogbofa. Both men were then led to see the President. After about thirty minutes, the two men emerged from the President’s office with the Chief Of Staff. They all refused to speak to reporters.